It was truly a pleasant and flawless experience. 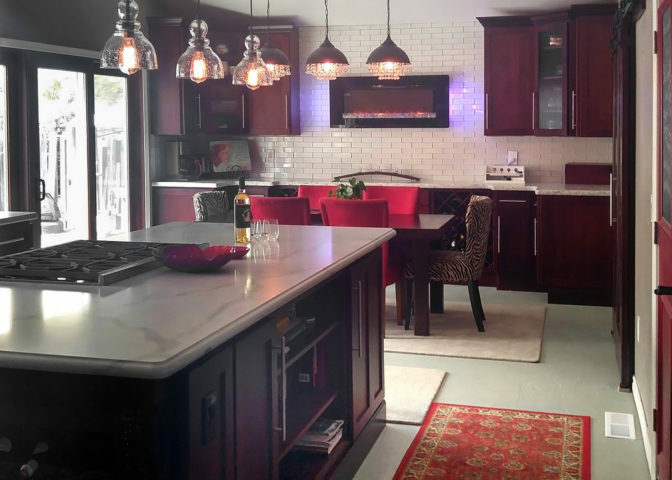 By: Linda and Rick D.
Just wanted to share with you pictures of our completed kitchen, bath, niches and wine room. Isn’t it beautiful? Our beautiful Tuscan Villa! 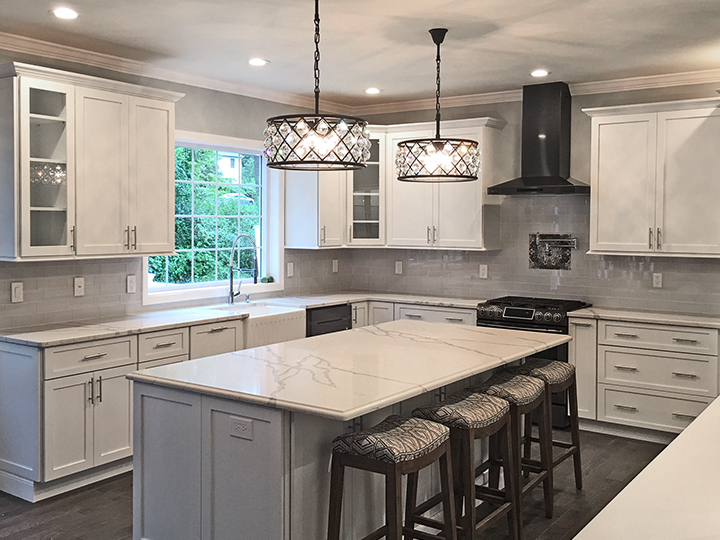 We and our builder can not stop raving about the quality of the cabinets and the great service we received from start to finish from Tuscan Hills Cabinetry! You answered all our questions and solved all our problems in a most professional and timely manner. It was truly a pleasant and flawless experience. We will and we do recommend you to everyone. Thank you for helping us achieve our dream house. After many months of planning my new kitchen, it has finally been installed and I could not be happier! 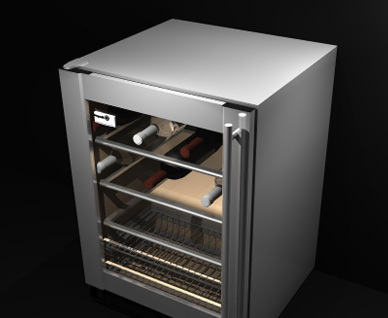 It was a pleasure working with the Ultimo team and the cabinets are very good quality. As my installer told me the quality of the cabinets I purchased were the "Best of the Best". The product and the team get my highest recommendation. Friendliest, most helpful, and easiest to work with. 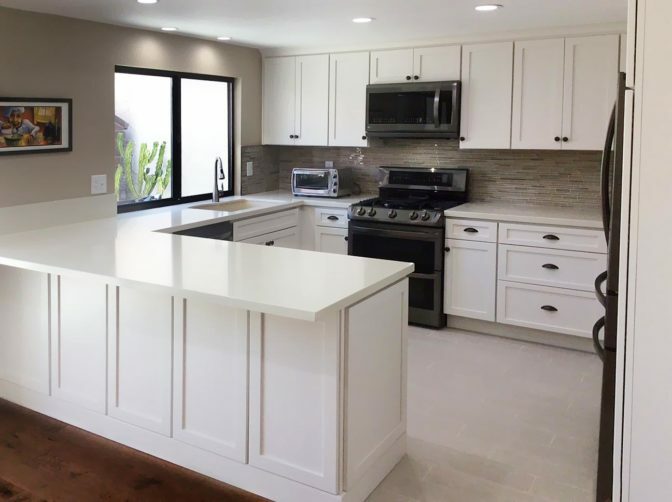 Doug and I worked closely with Reyna Batres throughout our kitchen design and cabinet purchase project. She was AMAZING! She helped us at every step and with every question. She was patient throughout a lot of changes, and she was skilled at giving meaningful advice. She always got back to us quickly, and we never felt like we were being pressured into anything. 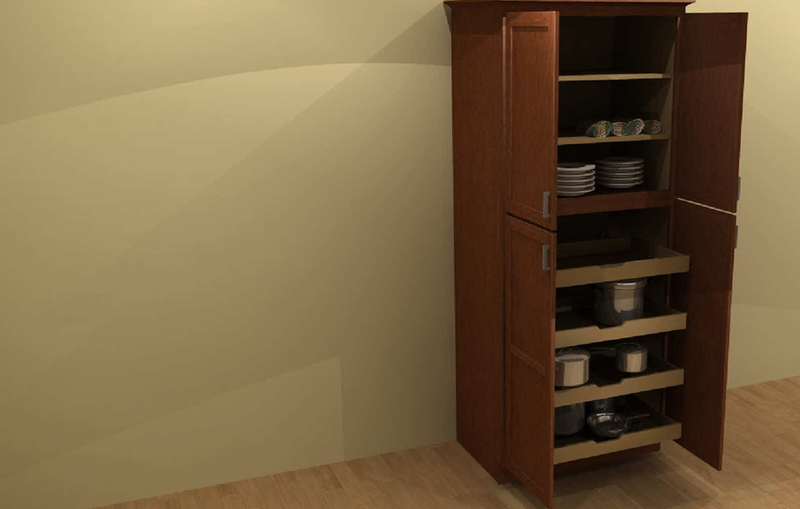 We received quotes from several other companies for cabinets, and we have worked with several contractors, salespeople, etc. on our kitchen remodel project, and Reyna was by far the friendliest, most helpful, and easiest to work with. I cannot recommend her highly enough, and I cannot thank her enough either. We are excited to receive our cabinets and to see how our beautiful kitchen turns out! Karen and I are extremely pleased with the process we went through with you in designing, tweaking and final review. It was a true pleasure working with you. Thank you for your input with all your years of experience. 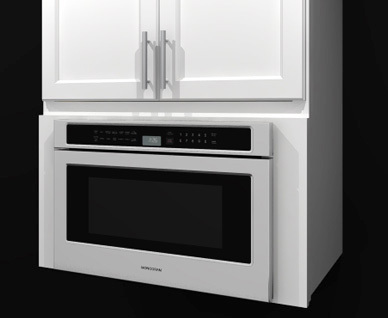 Looking forward to receiving and installing the new cabinets. You will definitely be seeing pictures. 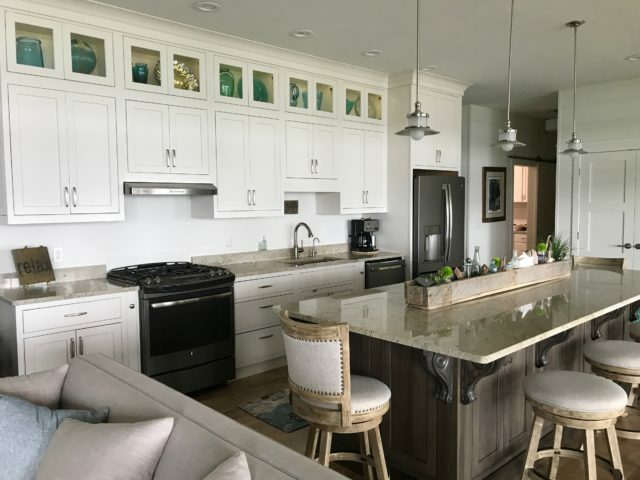 We had a great experience with Tuscan Hills and are vary happy with the quality of their cabinets and Donna our designer was fabulus to work with and very patient as I kept changing things. LOVE my new kitchen! Designing the layout remotely couldn't have been easier. These cabinets are excellent quality. 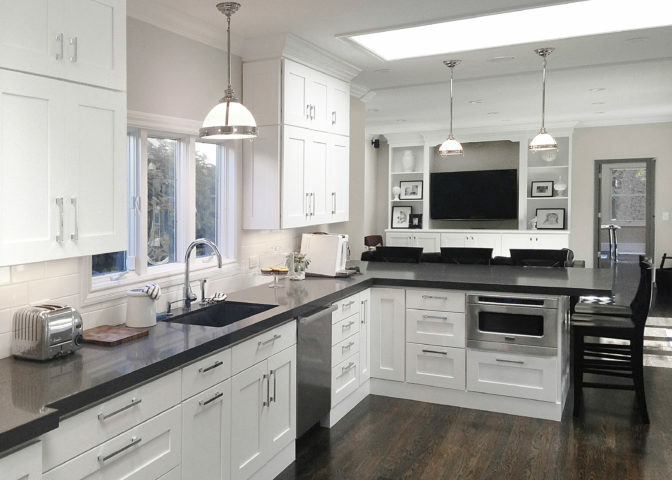 The inspector for the city noted that they were impressed by the quality of the cabinets. The real kicker is that it cost substantially less than the quote for a similar design that we received from Omega. 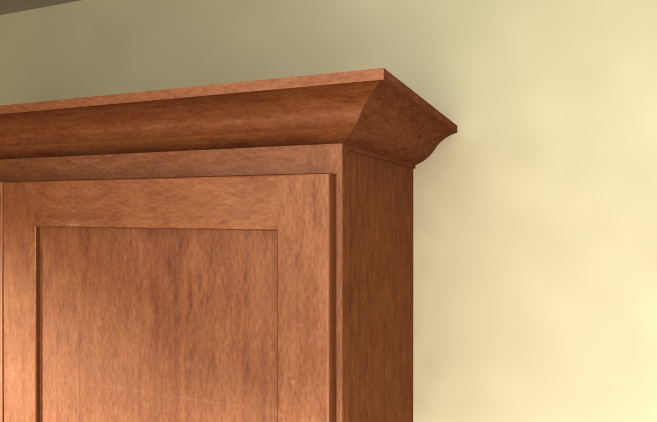 Moreover, Tuscan Hills are standard 3/4" plywood vs Omega's 1/2. Admittedly, paint and style options can add up. However, we kept it simple and modern. Why pay 30% more for a middle-man when you can deal direct and save? Let's see, 20% off for style of the month, plus 15% for for having stained versus paint, and another 15% for simple shaker versus ornate design. 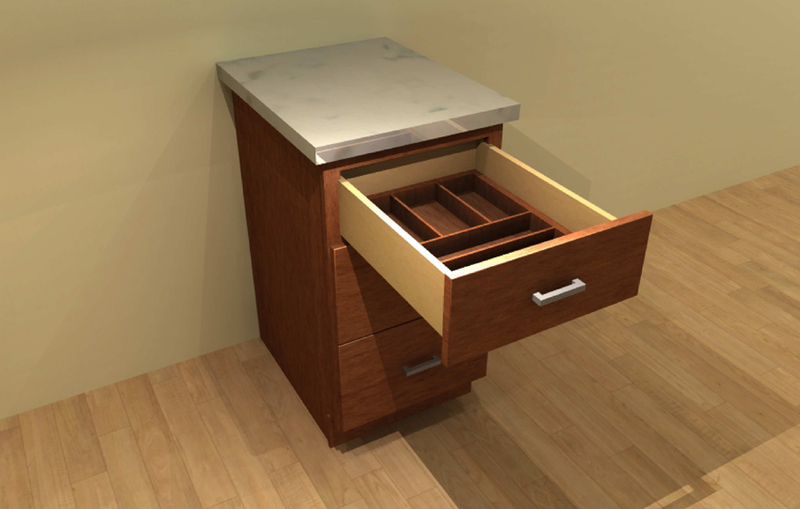 No matter what options we chose, the core 3/4" plywood design with Blum hardware remains. Designing the layout remotely couldn't have been easier. After several weeks of back and forth design, the order was submitted. I am actually surprised that the shipped cabinets were exact with no improper measurement or missing pieces! 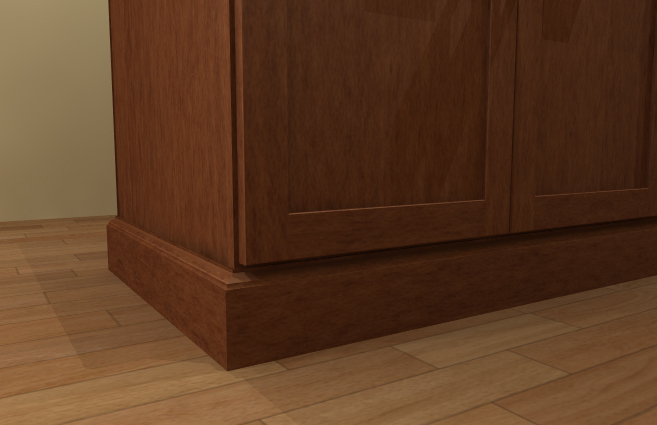 If I ever had to remodel another kitchen, I would not hesitate to use Tuscan Hills again. I LOVE how beautiful it looks. 3 years later and still fantastic!! We love them…still…!! 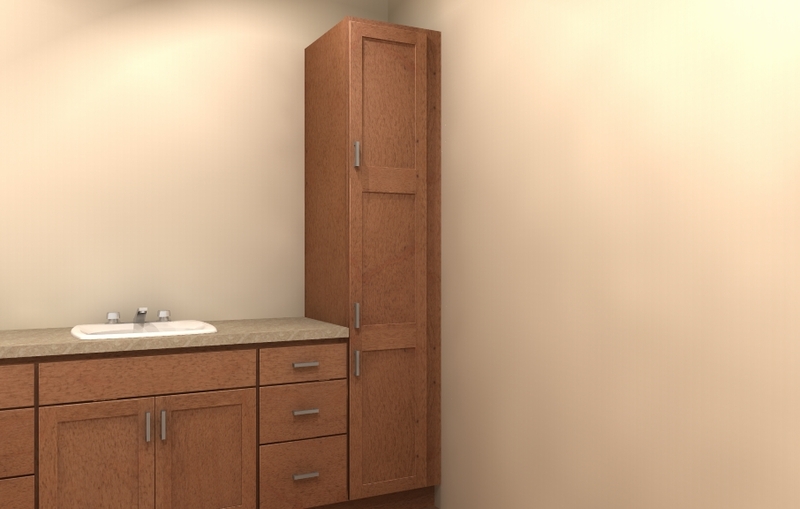 Planning to do 2 bathrooms and laundry room with Tuscan Hills in the future. Tuscan Hills helped us create this dream kitchen. 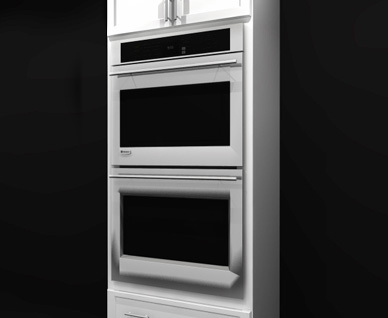 We looked at multiple cabinet shops for a new kitchen design that included full custom cabinet shops down to local cabinet design companies. 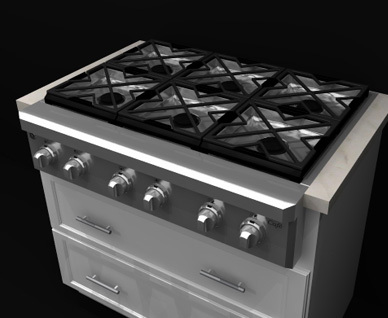 The Tuscan Hills design team worked with my wife for about 2 weeks perfecting our kitchen design. 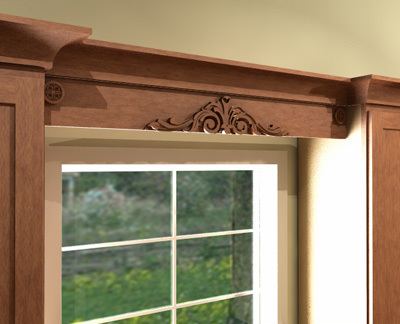 When the design was close to complete we added some custom features that Tuscan Hills built for us. 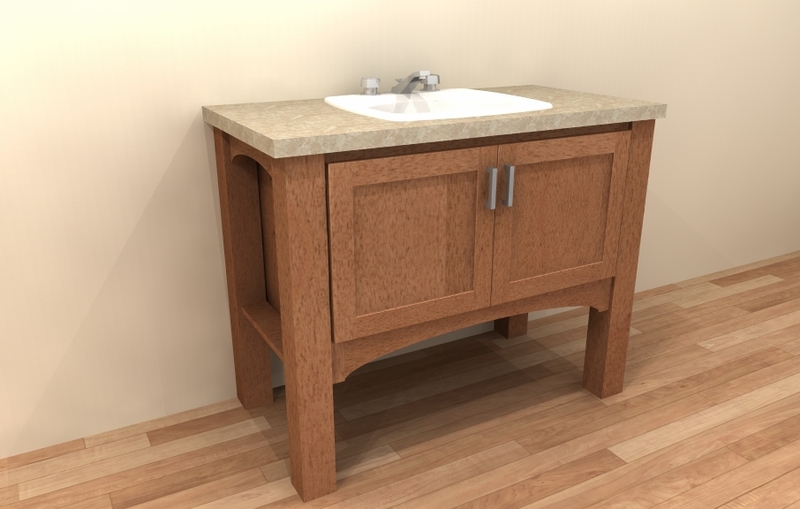 When we saw the final design that had the custom features we were ready to place an order that day. When the cabinets arrived they were exactly the quality and look that we were expecting. Other comparable companies that we looked at were 60% of more higher than Tuscan Hills. 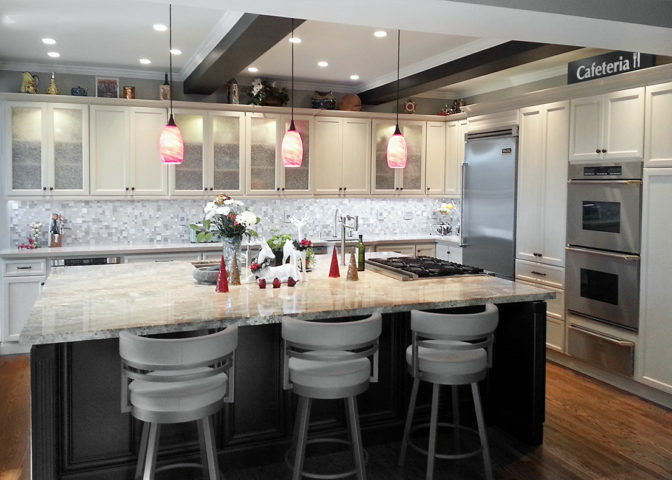 Every day when we look at our kitchen we are glad that we Tuscan Hills as they helped us create this dream kitchen. Tuscan Hills is awesome. We have kitchen cabinets that are 3 years old and holding up so well. So well, in fact, that we went back this year for bathroom cabinets for 2 bathrooms. They are super to work with and we wish we could know all the people who have helped us in person so we could do something special for them. We are so thankful for the special service and wonderful cabinets. 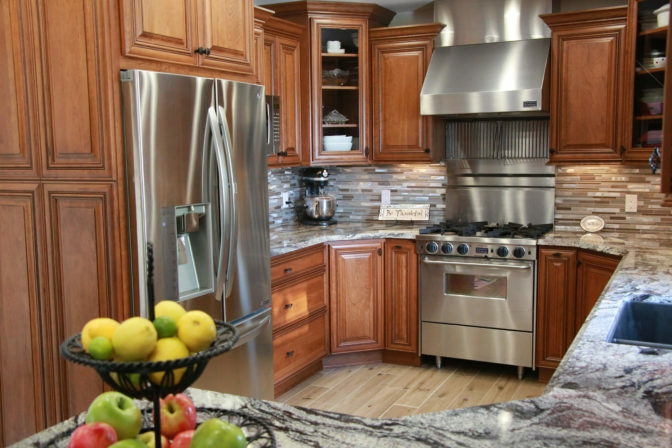 We worked with Reyna at Tuscan Hills Cabinetry to help design our dream kitchen. It only took 2 or 3 revisions before everything was perfect. 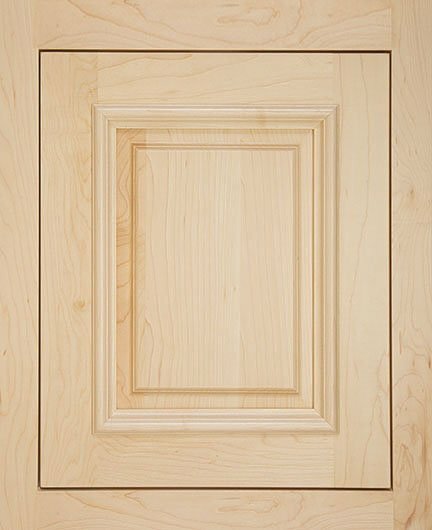 After receiving a sample door in our selected style & color, we placed our entire cabinet order and they arrived well-packaged, in pristine condition, on time. My husband is a hobby woodworker and he is very impressed with the quality of our new cabinets. 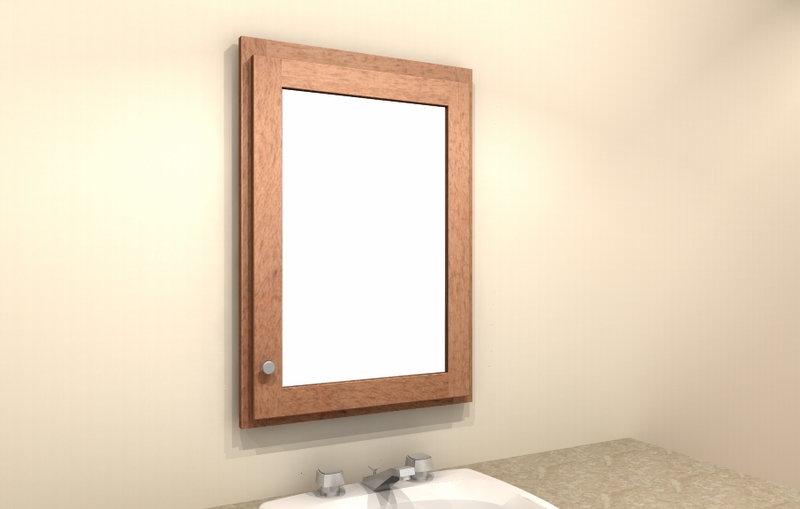 We chose a full overlay, raised panel style in a medium cherry finish. 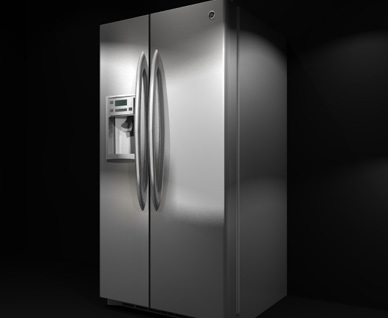 They are much nicer than anything we saw at Home Depot or Cabinets to Go, at a fair price. I especially liked the fact that they are made here in the USA with pride. 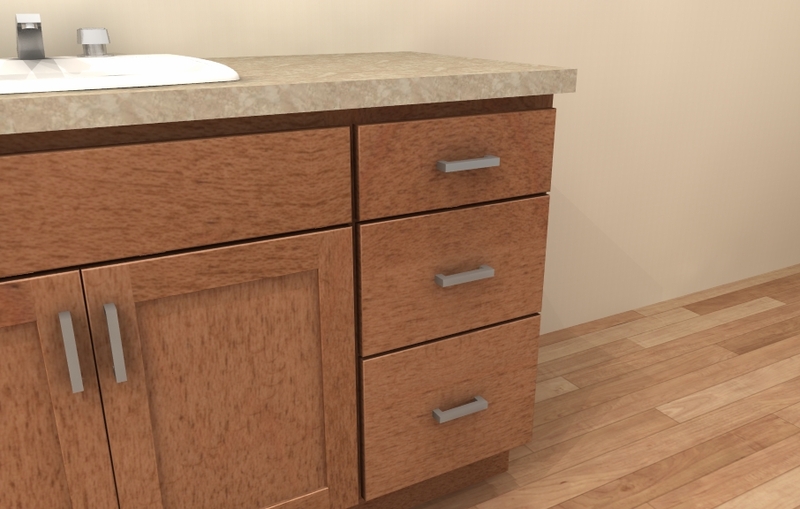 I highly recommend using Tuscan Hills Cabinetry for your kitchen or bathroom remodel. They turned my "awkward" kitchen into an amazing place. From the beginning my designer at Tuscan Hills was absolutely amazing. 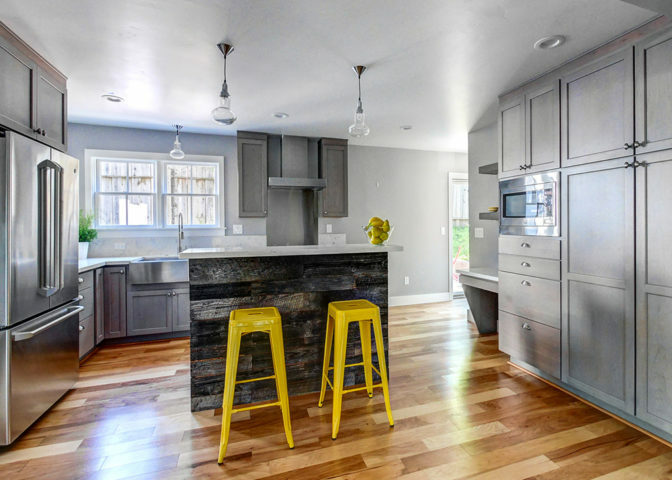 They turned my "awkward" very difficult kitchen into a functioning updated amazing place. They were with me step by step designing down to every inch. Even when we had issues during construction, they were available and changed things as needed. I cannot be more pleased and happy with my kitchen cabinets!!!!!!!!! 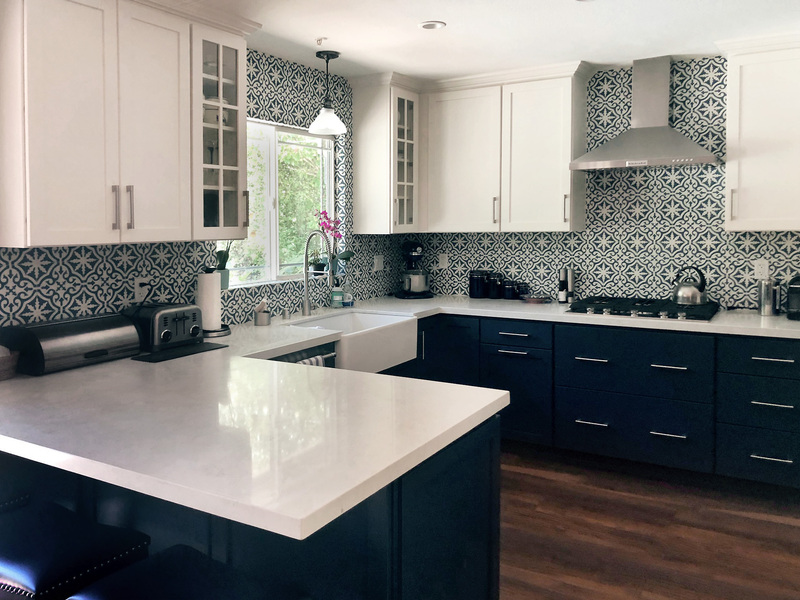 This kitchen remodel was years in the making so I wanted everything to be exactly as I had dreamed. 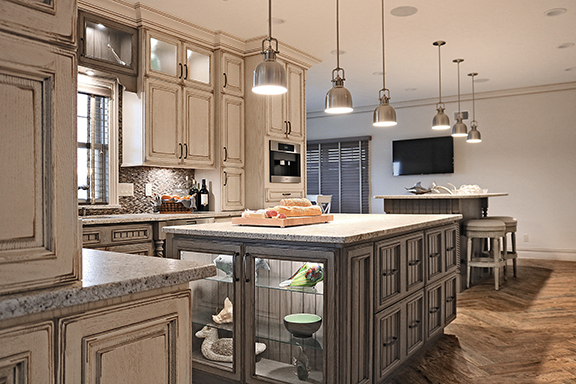 Tuscan Hills cabinetry met my expectations above and beyond. Working with Reyna was a delight. She was quick to respond to questions and provided reassurance throughout the process. 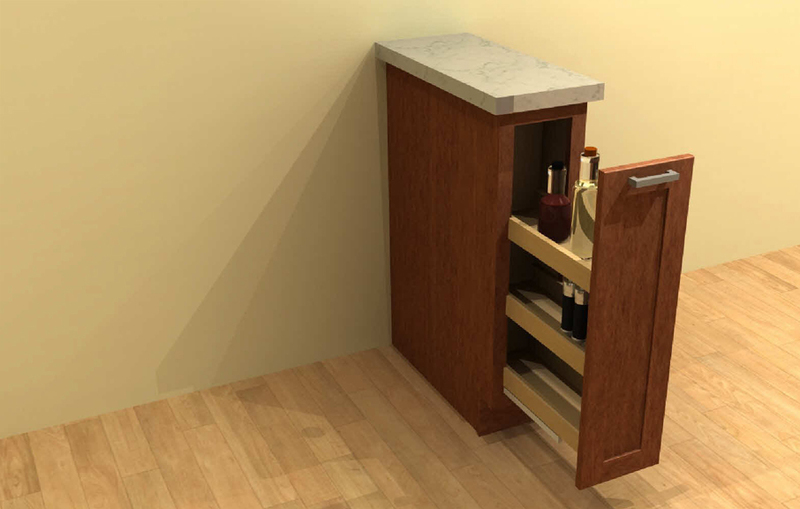 We were nervous initially completing the cabinet selections and design remotely, however, every detail was considered and analyzed resulting in a perfect fit! Our contractor even commented on the quality of materials and workmanship during the installation process. 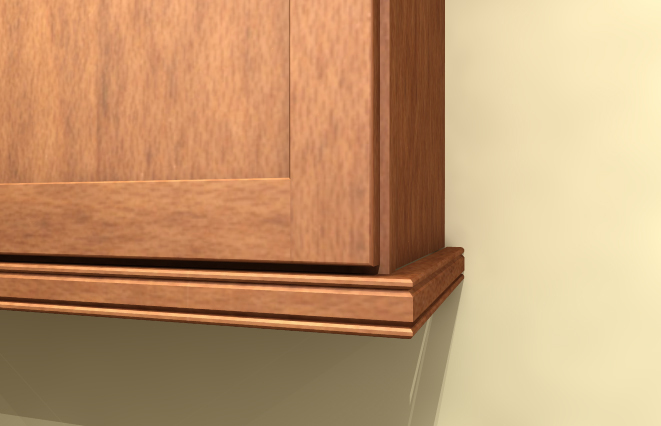 The quality of the cabinets remains evident two years after installation. 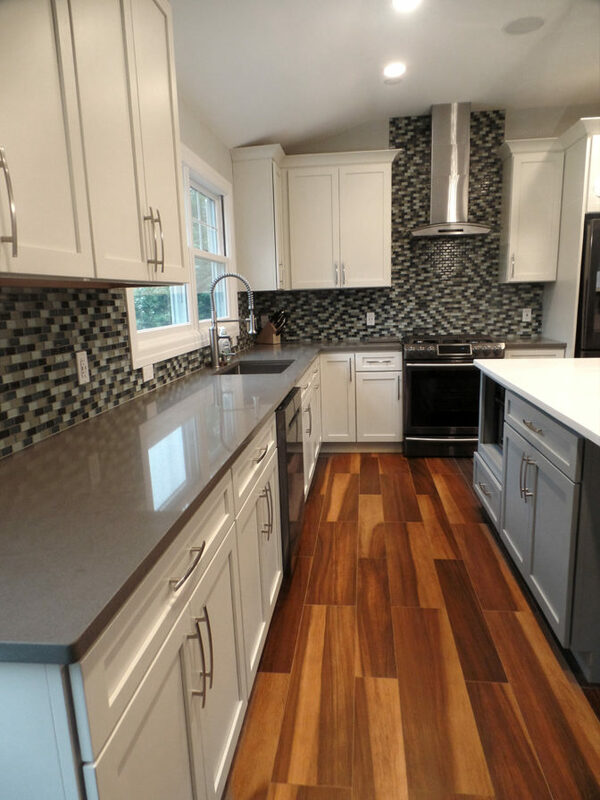 We continue to love our new cabinets and are very happy we chose Tuscan Hills. 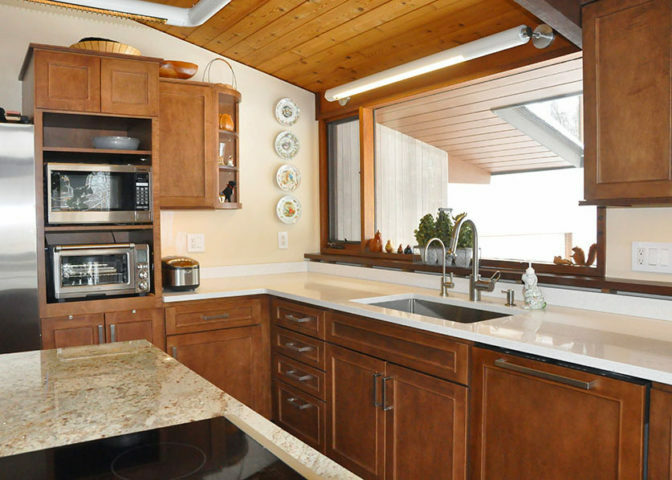 The cabinets are Brookside Door, Cottage Toffee with Chocolate Glaze on Adler Wood. 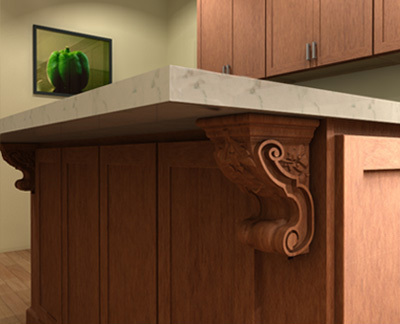 We had an excellent experience working with Enrique Casanovas, a designer at Tuscan Hills Cabinetry. He made numerous suggestions over a 5 week period to help us select colors, cabinets and interior features. 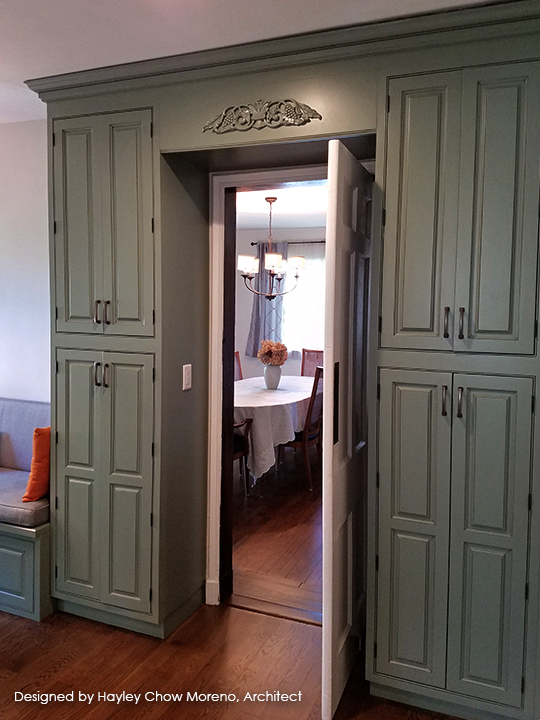 We purchased 56 ft of cabinets from them using Enrique’s design and it worked out perfectly. 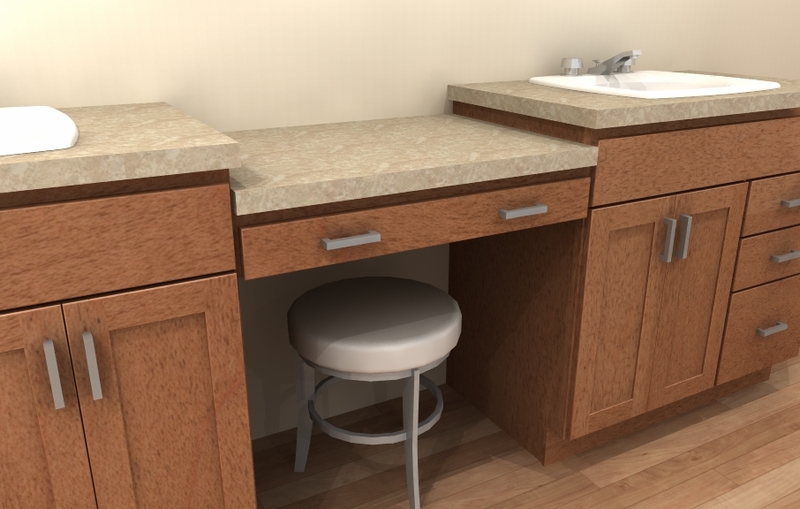 Our contractor thought very highly of the quality of the cabinets and their 3/4 inch construction. 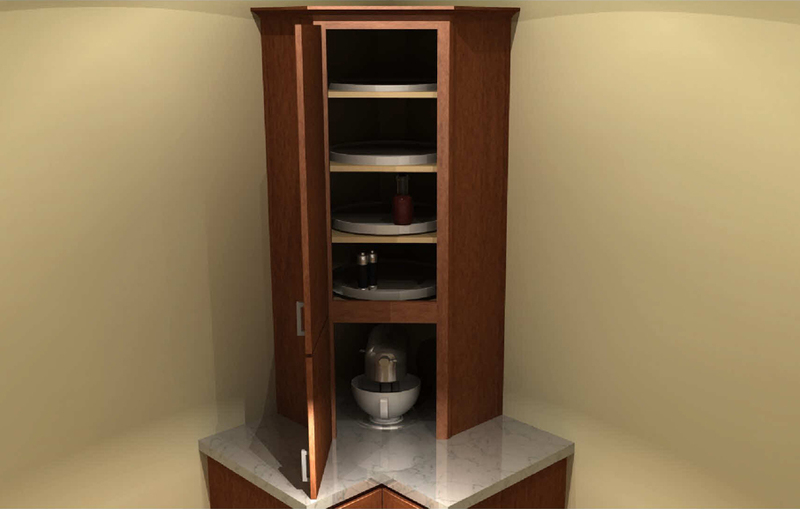 He also noted the precision of the design and how well the cabinets fit together. 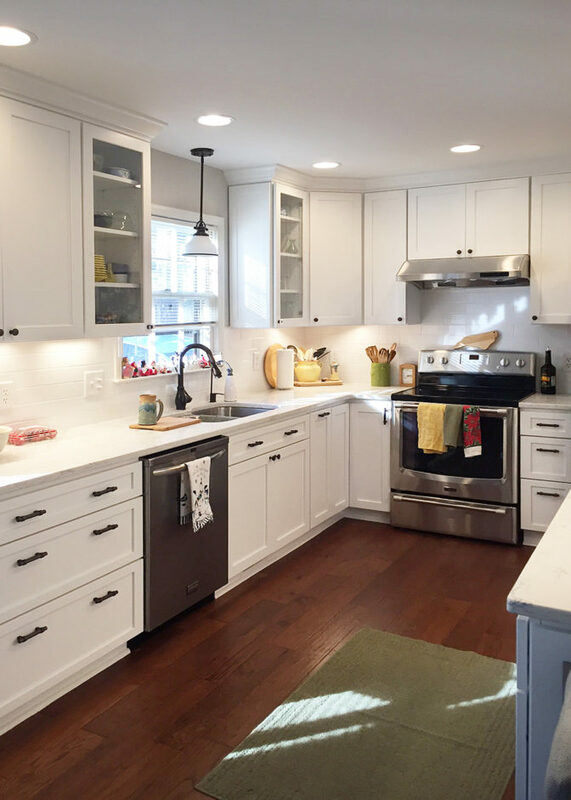 The cabinets were ordered in late August 2015 and arrived in mid-November 2015 as planned. There were approximately 40 cabinets and a variety of other supplemental items. Tuscan Hills was very professional, and even though this was an online purchase I was surprised how smooth everything went. There was a little minor cabinet problem during the delivery, but our contractor used his carpentry skills to work through it. Everything came together and was completely installed by mid-February. (It took longer because everyone stopped for the holidays including us.) Thanks Enrique and Tuscan Hills for a Job Well Done!! Thank you Costco for the 31% discount!! 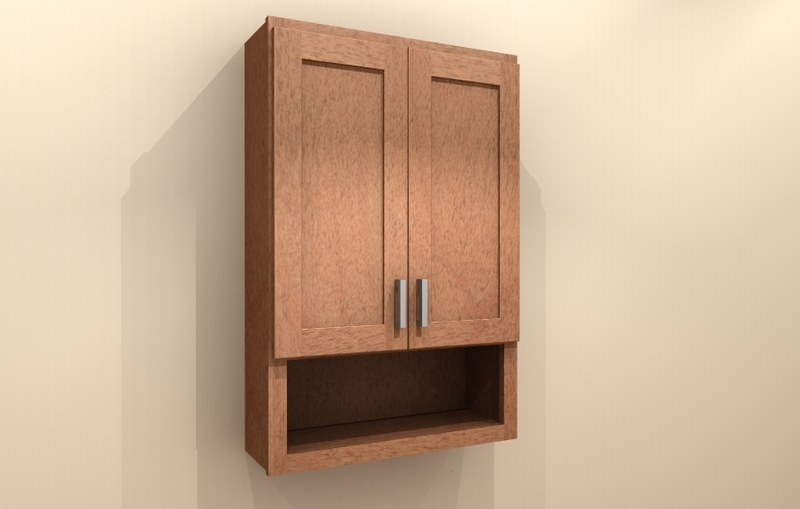 Once we decided we were going to remodel our kitchen we sent out our design sketch to three separate cabinet builders. 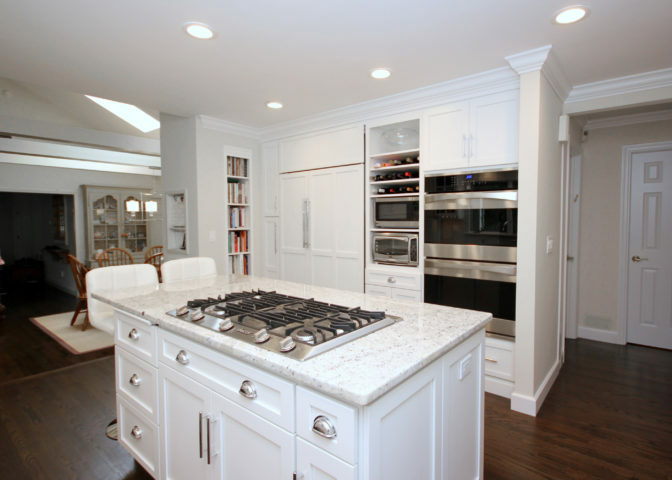 Tuscan Hills Cabinetry through Costco was the most responsive and personable. One of their designers, Donna, collaborated with us. 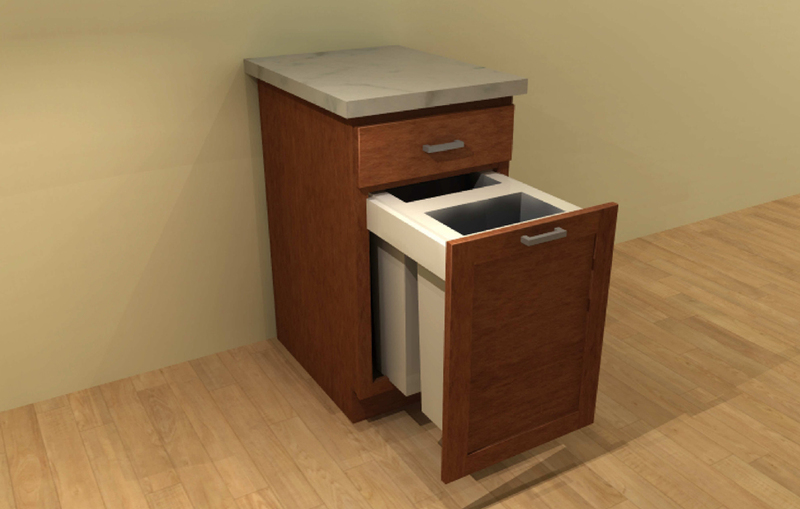 She emailed us 3D design sketches and worked with us to determine the best cabinet sizes for our design. Donna even tweaked the design one more time after we had agreed on a final plan. She is awesome! 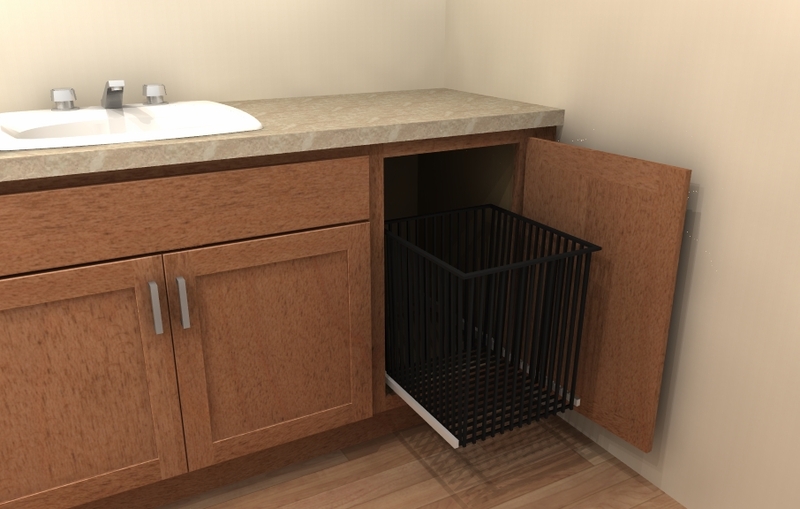 Once the plan was approved and paid for the cabinets were built and shipped assembled within five weeks. 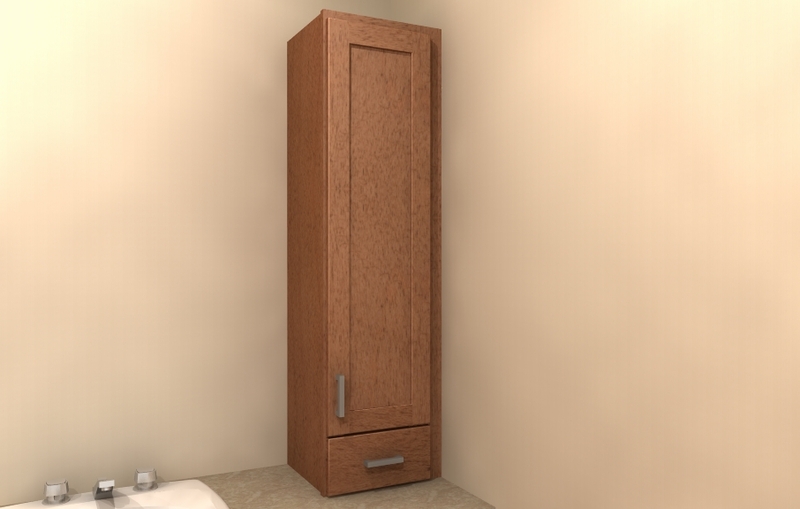 The cabinets are beautiful solid wood with great finishes and soft close doors and drawers. 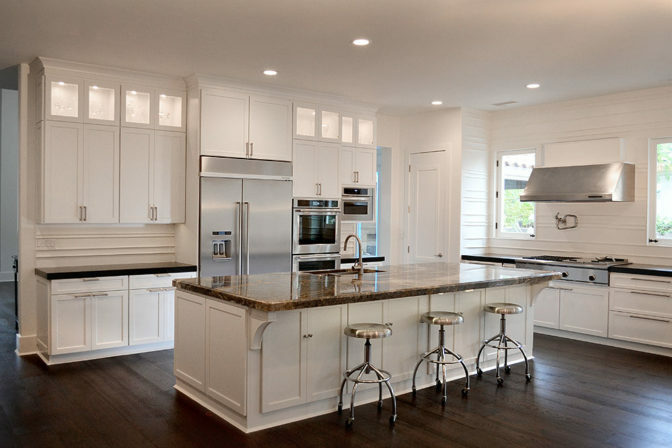 We have ivory colored cabinets along two walls and dark espresso cabinets for the island. They fit together with no gaps or flaws. We had two doors with a paint flaw which Tuscan Hills promptly replaced without any hassle. 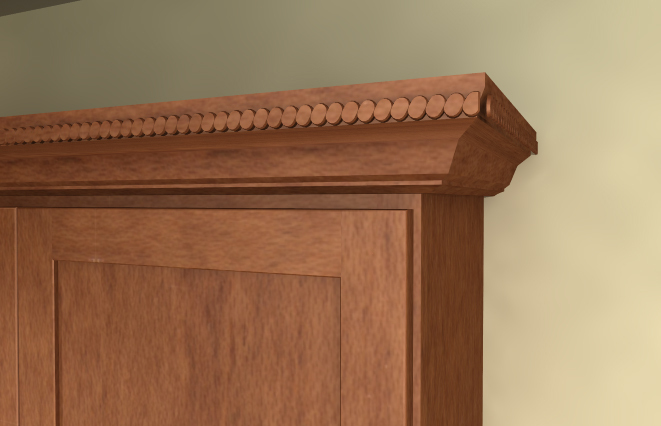 Once we had our cabinets we changed our room design and needed a few matching trim pieces. Donna and the team were very helpful and responsive getting the pieces we needed and matching the original paint color exactly. 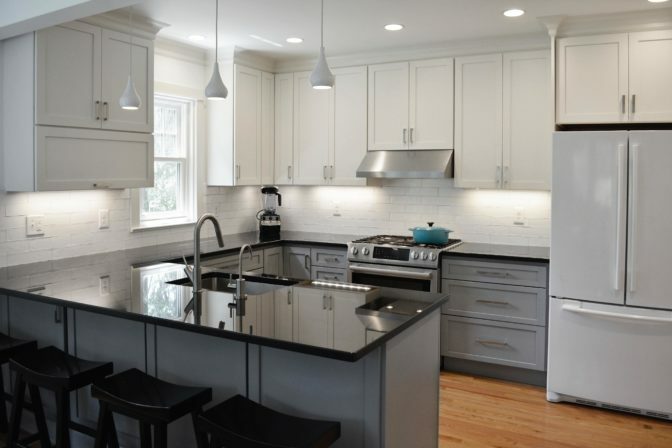 We are thrilled with our kitchen and the efficiency this design has given us. Our family and friends are very impressed and complement our new kitchen. 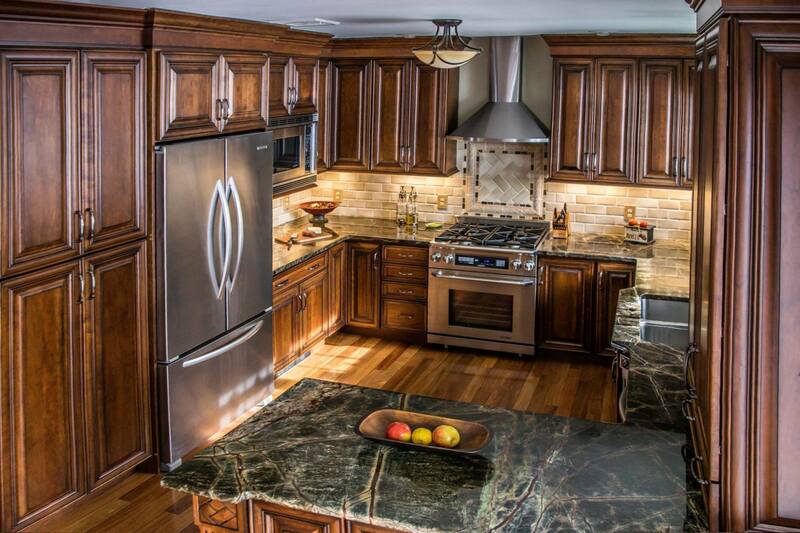 We definitely would use Tuscan Hills Cabinetry again the quality and value for the finished product is outstanding. We worked with Donna at Tuscan Hills....What a great experience! 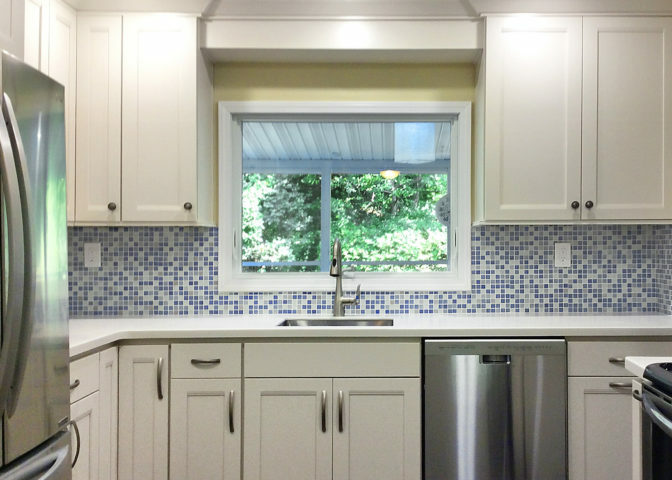 Our cabinets were purchased sight unseen through Costco and they definitely exceeded my expectations. My kitchen looks like we spent at least twice as much on it!! 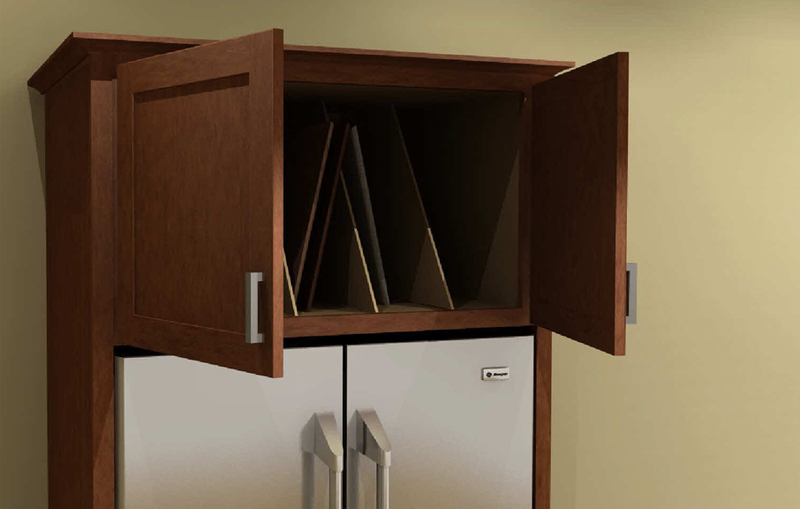 I love that the upper cabinets are extra deep, so I can still store my larger plates in them...I also love the self closing close doors and drawers. I now have drawers or pull outs for all of my little appliances....and I don't have to dig into the backs of cupboards to find items. Since my husband installed the cabinets and trim himself, it was nice to have someone on the other end of the phone answering any questions that arose. 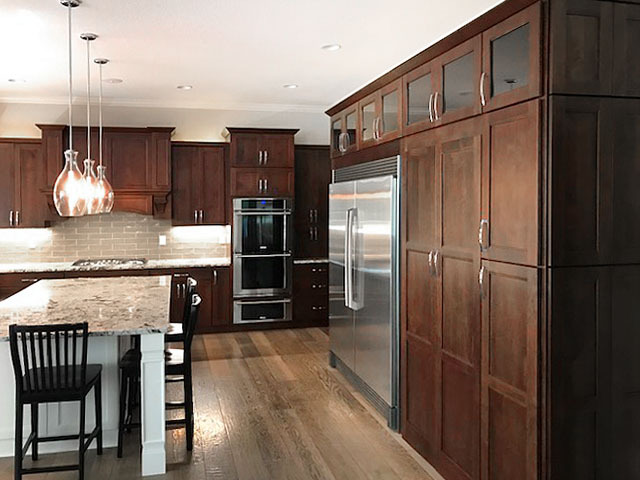 I would highly recommend purchasing cabinets from Tuscan Hills and I certainly will if I ever decide to make another cabinet purchase in the future! Tuscan Hills help up design our dream kitchen We LOVE it. The entire processes with Tuscan Hills went very smooth. The cabinet delivery was awesome, the guys were very nice and neatly arranged the boxes in the garage in order for us, the packaging was brilliant!, very easy to open the boxes and no damage at all. Amanda and I installed the cabinets in two days,( it was fun and they came out perfect. Thanks again. 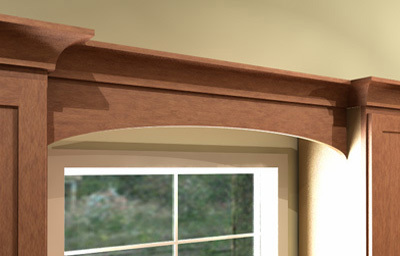 The quality of the Tuscan Hills Cabinetry is outstanding and the designs are classic and classy. 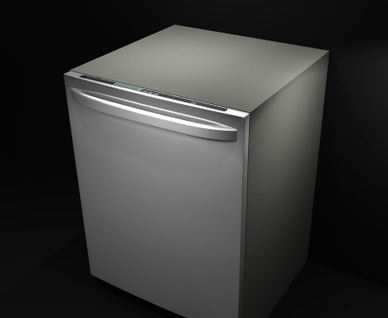 The product is competitively priced and far surpassed the recommended competing firms in terms of value for money. 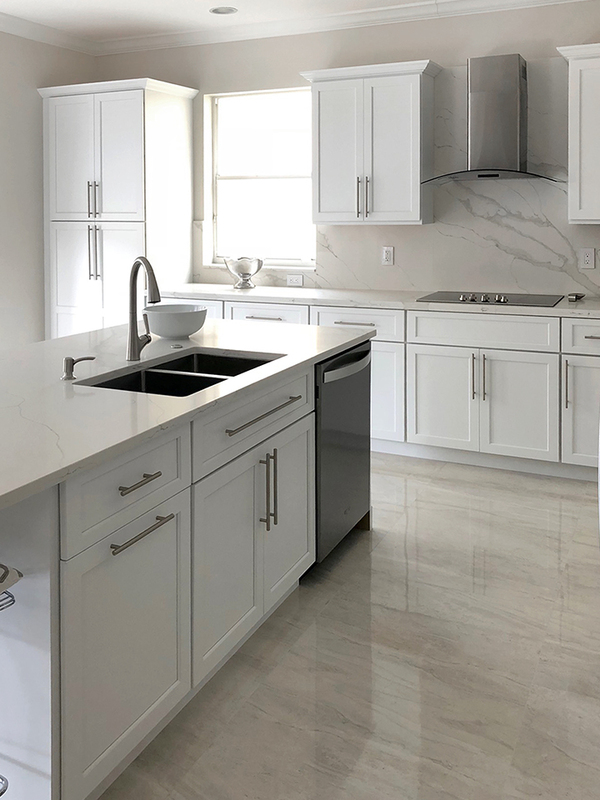 Our kitchen designer, Ms. Reyna Batres is an exceptional professional - knowledgeable, passionate, dedicated, efficient, and truly customer-oriented but not afraid to give candid input. She is a great team player and we viewed her as an essential part of our kitchen renovation team. I highly recommend Tuscan Hills and the Costco collaboration. We hired Tuscan Hills Cabinetry through Costco and received ~30% discount for all these excellent quality cabinets. 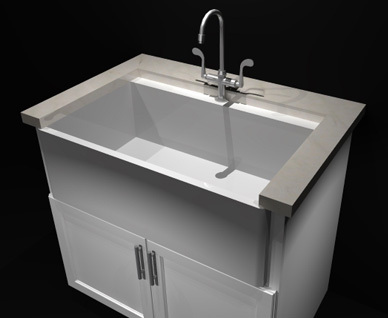 The cabinets are 3/4 inch construction with the Ultimo Huntsville design made of maple for the White wall cabinets and Slate base cabinets. Also we ordered cherry cabinets with Nutmeg wall and base cabinets for the entertainment and island. Enrique Casanovas was their designer who assisted us for about 5 weeks in making all the selections and doing the detailed design. We are very pleased with his work and our contractors commented about the precision of his design and dimension control. Overall the kitchen is beautiful and this could not have been done without Tuscan Hills and Enrique's help. Thank you for a job well done. I had a great experience with Tuscan Hills. Their quality was unbeatable, especially for the price. Arielle was very accommodating to work with and met all of my expectations. Would use them again in a heartbeat! Amazing designer and fabulous product. Amazing designer and fabulous product. Enrique, the designer who helped me, was wonderful to work with and very creative. He helped me to create my perfect kitchen. Everything looks better than I had hoped. The quality is very high and I love the way everything went from start to finish. AMAZING quality, construction and service!!! I purchased my cabinets from Tuscan Hills through Costco. AMAZING quality, construction and service!!! We paid a kitchen architect prior to our engagement with Tuscan Hills. Donna’s additional suggestions were on point. Love my kitchen in Montauk, NY!! far exceeded my expectations…total wow factor! Just wish I could post pictures! 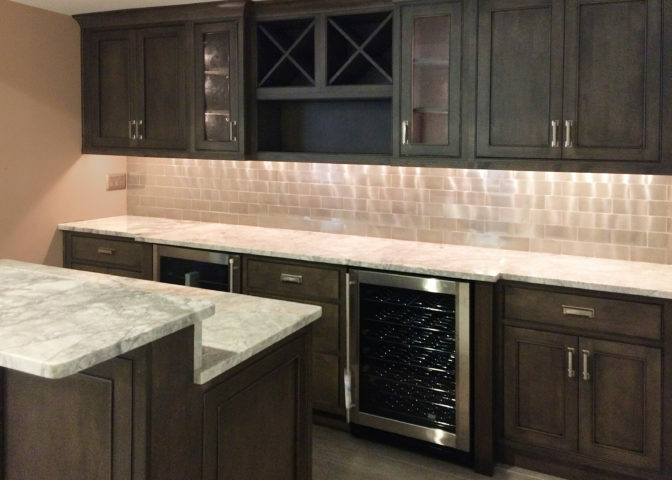 We used Tuscan Hills Cabinetry for our kitchen renovation last year. We had initial reservations about not being able to view the cabinets in a showroom, plus using what appeared to be a new company. 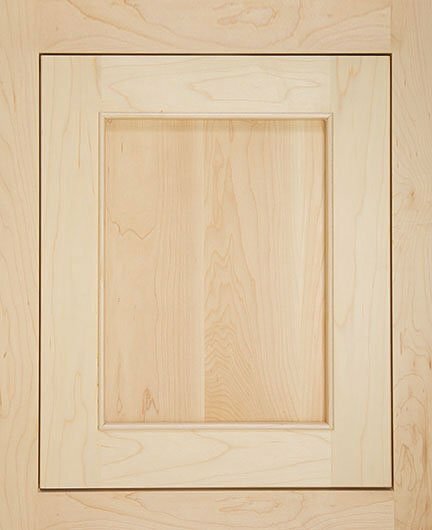 However, our contractor positively reviewed the cabinet specs and we were satisfied with the sample door. We figured every business has to be new at some point so give them a chance! The virtual measuring process honestly scared us, so we had a contractor field verify the architect's dimensions.  Throughout the process, our designer was respectful and helpful. 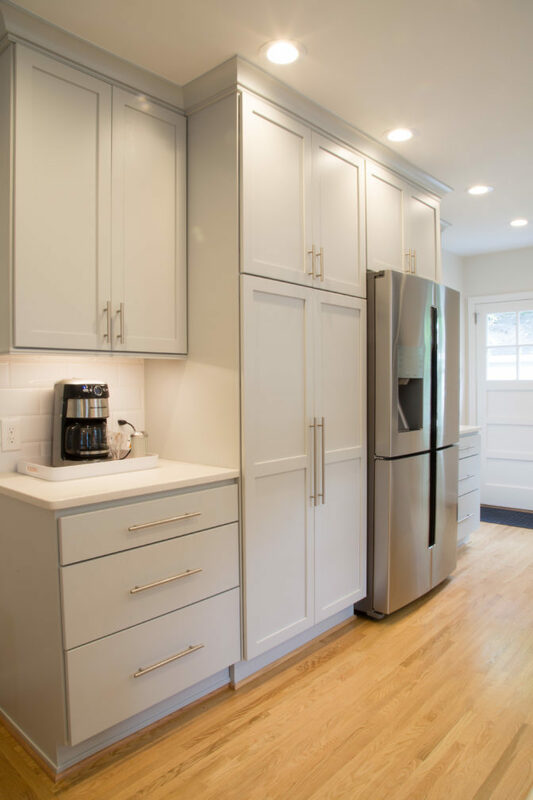 Retrospectively, we wish the designer had taken into account the swing of the doors in the design, as the majority of the doors swing open and the handles hit the adjacent cabinets, requiring clear stick-on bumpers to be scattered throughout the kitchen on the doors like pimples. 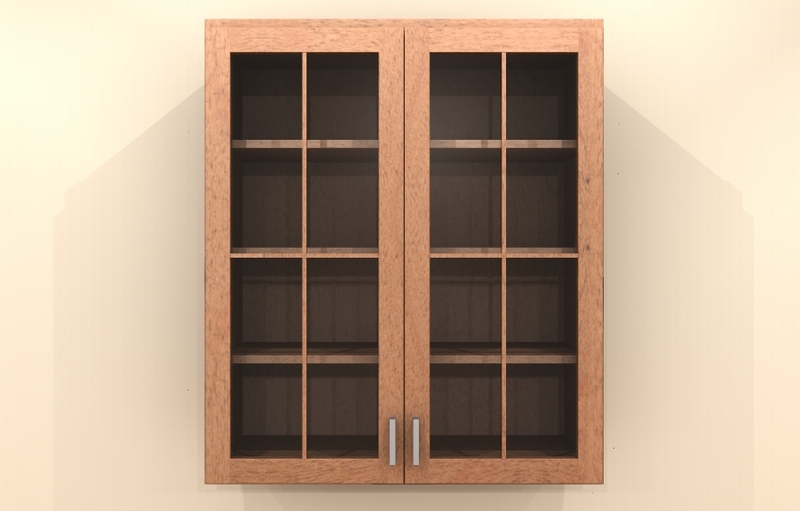 Filler panels probably would have solved this, but we would have lost cabinet space. The product itself seems excellent quality! There were some hiccups with the delivered product as with any order, but THC worked rapidly to resolve the issues we have and send us replacements. 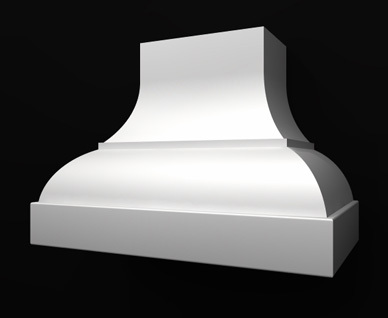 We have since recommended THC to family and friends and are quoting out our next renovation project with the same cabinetry for "built-ins". Price was very reasonable. Once you add in the "fun stuff" like roll-outs, etc. the price does jump quite a bit as per other online reviews. But based on our research and our experience our kitchen was a great bang for the buck. It came out beautifully! Our dream of a French country kitchen has come true. Working with Brandon at Tuscan Hills was wonderful! He was very quick to respond to all my requests, and was very helpful in the designing my cabinet layout and adding finishing touches. 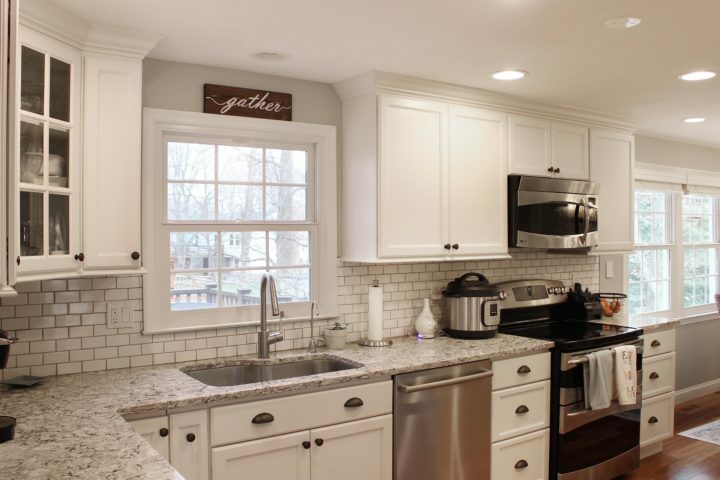 I was very skeptical about ordering these cabinets, sight-unseen, but Brandon assured me that the cabinets were of high quality and that I would not have any problems with delivery. So, I trusted Brandon and Costco and I am glad I did. 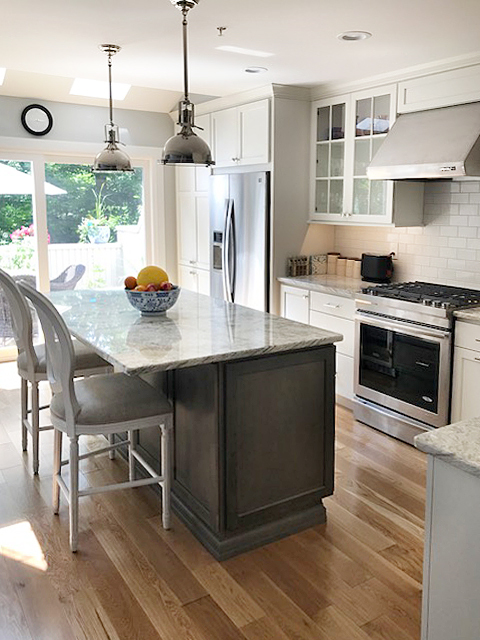 The kitchen came out beautiful-even my carpenters were amazed at the high quality, especially on the corner lazy-susan with the fold out doors; and that the delivery was on time and had exactly what I ordered. There was only one little problem - one of the 42" wall cabinets was missing a shelf. Customer service immediately sent me a replacement along with a can of stain so that I could touch up any scratches created during installation. I chose the cabinets from the Ultimo collection, door style Fulton in oak wood, stained toffee - it looks so good with my Costa Esmeralda granite. 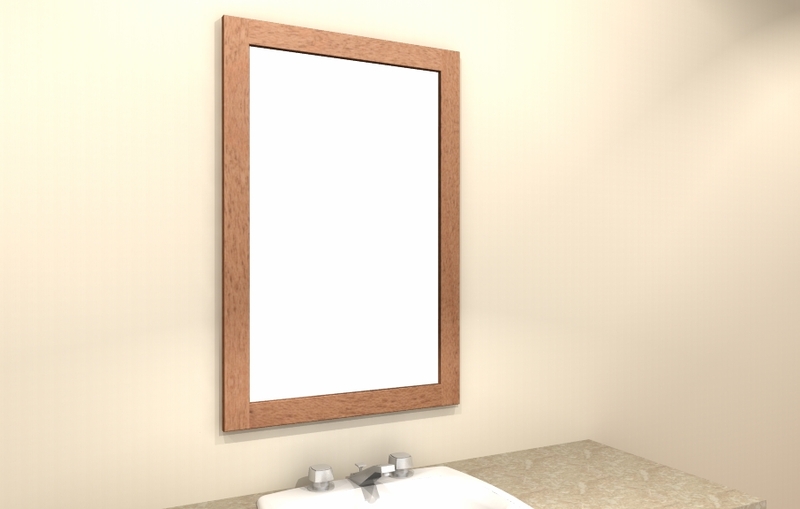 I would highly recommend Tuscan Hills cabinetry and hope to use them again when I remodel my bathrooms. 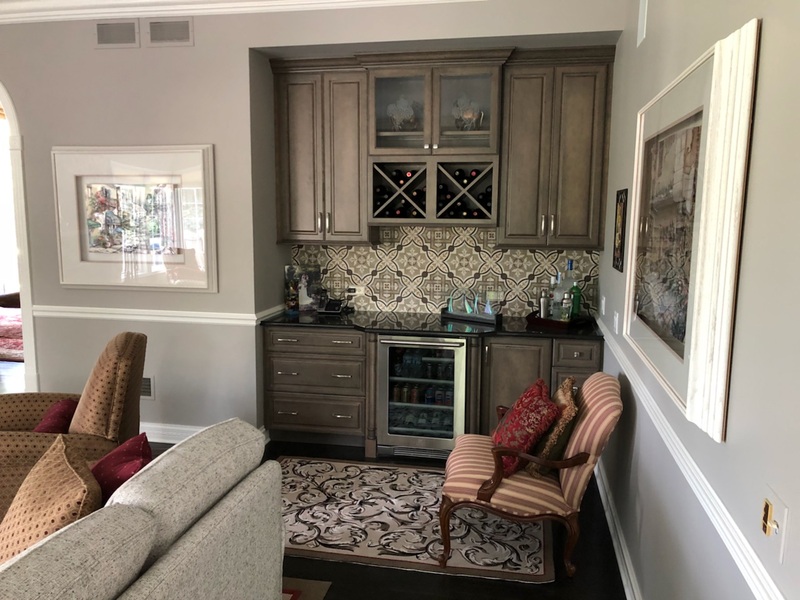 We have had multiple designs through many different cabinet companies and nothing matched the beautiful design that Tuscan Hills Cabinetry created for us. 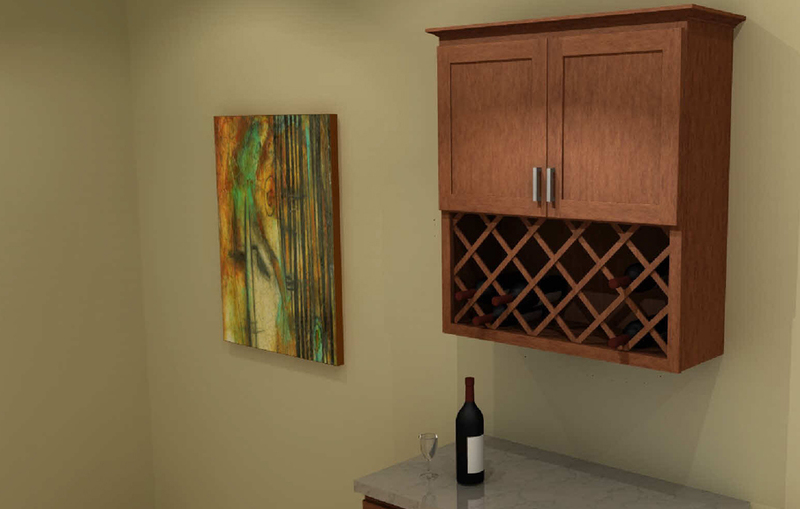 Tuscan Hills had the best selection of cabinets that met all of our needs. 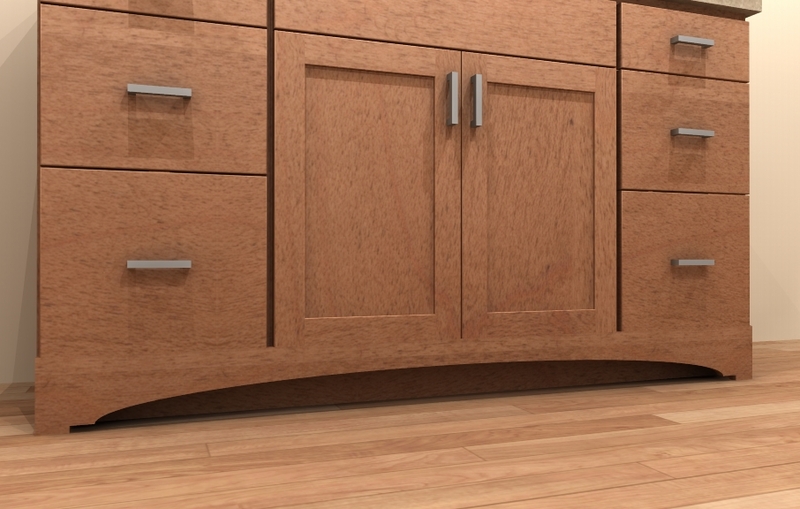 This was as close as you can get to a full custom built kitchen without having to pay the high price for custom cabinet companies. 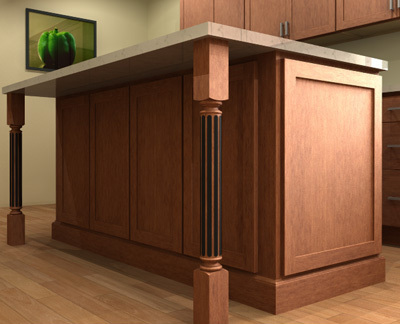 They even built custom cabinet accent parts for us that gave our kitchen that full custom look. 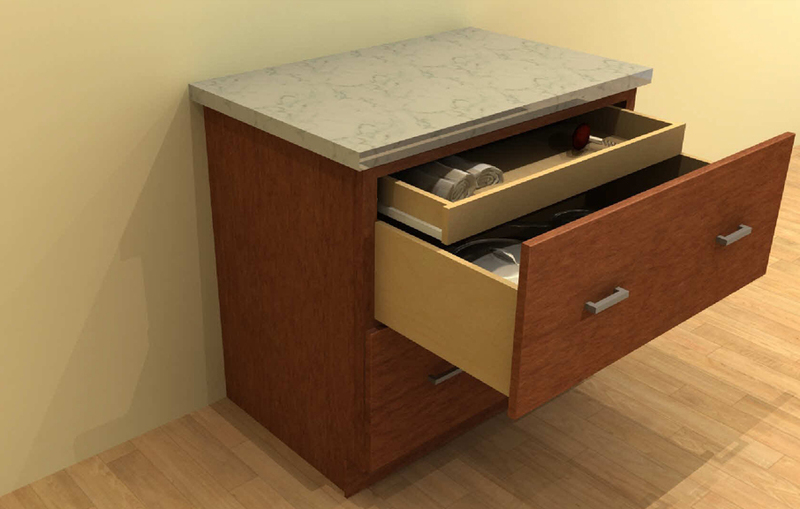 When we had the final design completed and Tuscan Hills sent us drawings of what our kitchen was going to look like, we were ready to order the cabinets that day. When the product arrived, we were excited and started to open the boxes. 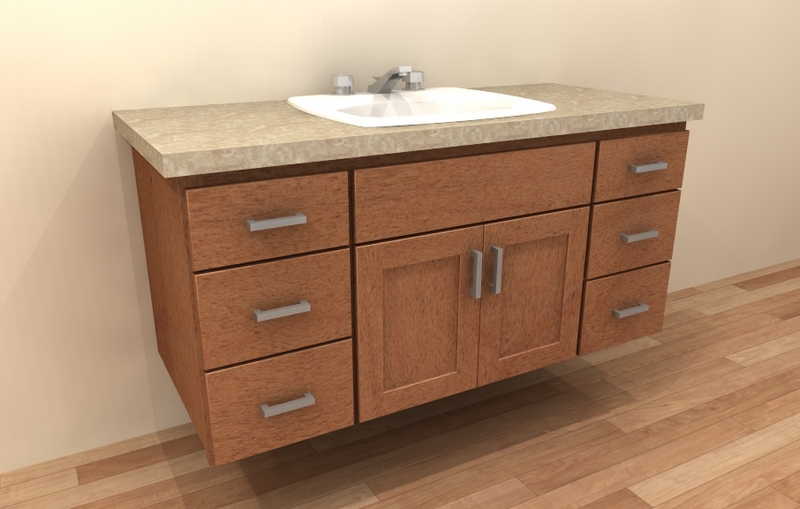 We noticed right away that these were beautiful profesionally built cabinets that was the exact quality that we expected. 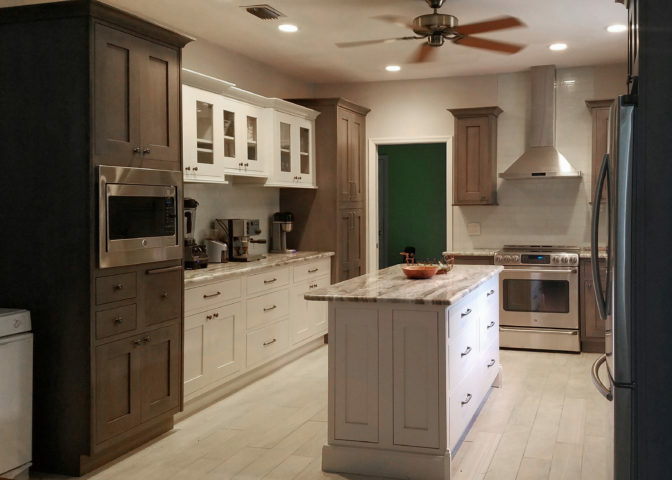 We have had many people including cabinet companies look at our kitchen and they were amazed at the quality of the cabinets Tuscan Hills constructed. Thank you again Tuscan Hills Cabinetry we look forward to you assisting us on our next project and share your name with all of our friends.